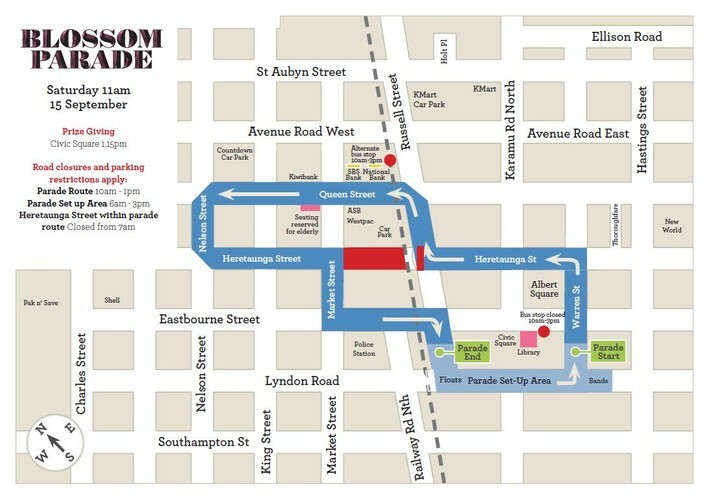 The theme for this year's Blossom Parade is 'Show us your heART'. The Parade kicks off at 11am with a colourful array of floats, bands, marching groups, clubs and community organisations. The ever-popular Batucada bands from Hawke's Bay, Tauranga, and Palmerston North will once again delight the crowds with their power and energy. 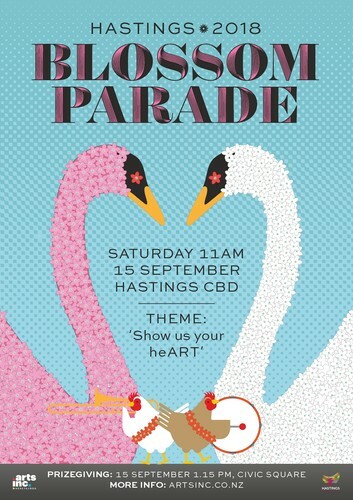 Established in 1950, the Blossom Parade has long been a highlight of the Hastings event calendar, with approximately 15,000 to 20,000 people coming to view recent year's events. This year, more than 50 groups and floats will weave their way through the city centre in this annual spring spectacular. The theme for 2018 is 'Show us your heART' - giving participants the perfect opportunity to celebrate everything they love about our unique and special district in their own artistic ways. There will also be a Prize Giving following the 2018 Blossom Parade in the Civic Square (next to the Hastings War Memorial Library).